Roosevelt was the scion of a prominent New York family who overcame the paralytic effects of polio (contracted in 1921) to become governor of New York and president of the United States for an unprecedented four terms, from 1933 to 1945. Not since Abraham Lincoln had a president faced more serious crises in office, beginning with the Great Depression (which he addressed with the New Deal and other social legislation and programs) and World War II (in which he emerged as a great wartime leader). 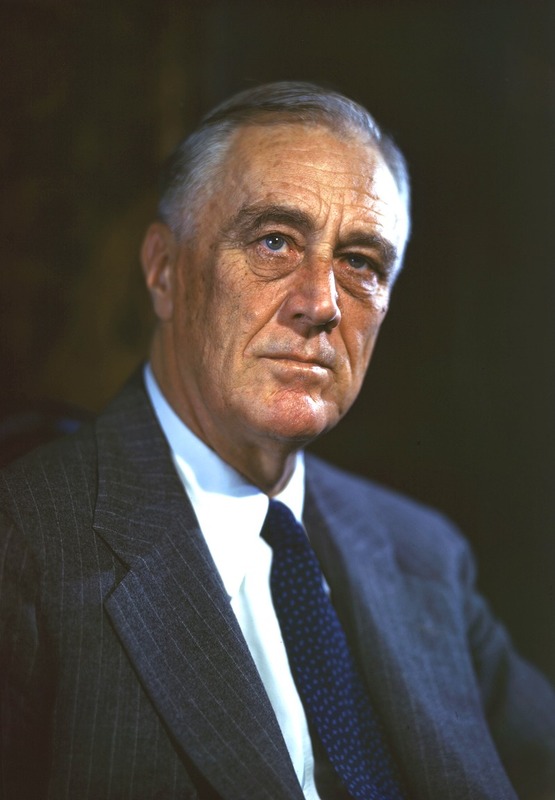 FDR extensively expanded the role and powers of the federal government and was held in great esteem and affection by a majority of the American people. Most historians judge him to be the greatest president of the 20th century.